The Vocal Department had a wonderfully busy November with ILMEA District 1 auditions, the Winter Large Ensemble concert, Winter Opera and Jazz Showcase, and a first-time collaboration with the Ballet Chicago Studio Company! On November 3, 4, and 16, Ballet Chicago presented DanceVision 2017, Choral Colors. Nine ChiArts Vocal Majors performed a wide variety of music for shows at Ballet Chicago’s Dowd Studio and the Chicago Cultural Center. This program was hosted by Artistic Director Daniel Duell and featured original choreography from rising Chicago artists curated by ChiArts Dance Instructor and Ballet Chicago’s Resident Choreographer, Ted Seymour. Led by Vocal Chair Natalie Chami, selections included classical, gospel, and jazz music, with scholar-artists performing in solos, duets, trios, and even quartets. We are so proud of the Vocal Majors and faculty members who participated in this innovative collaboration and we look forward to more “Live Dance with Live Music” performances with Ballet Chicago. Click here to watch an in-studio performance on Ballet Chicago’s Facebook! ChiArts vocalists attend Lyric’s Chicago Voices concert. 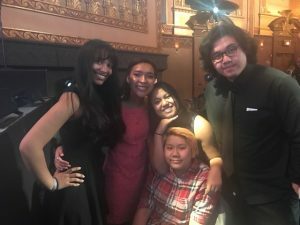 On February 4, a group of ChiArts vocalists attended the Lyric Opera’s Chicago Voices concert featuring performances and unique collaborations by artistic director Renée Fleming, Shemekia Copeland, Kurt Elling, Lupe Fiasco, The Handsome Family, Jessie Mueller, Matthew Polenzani, John Prine, and Michelle Williams. 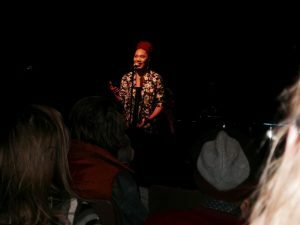 ChiArts alumna Noel Price joined the stage with Williams, and the following day, Ms. Fleming coached Class of 2017 vocalist Reever Julian in a special master class. Special thanks to the Caerus Foundation and Lyric Opera for this amazing opportunity for our scholar-artists!